Banners/signs out for the Regatta event. Line listing in program, listed on our website. 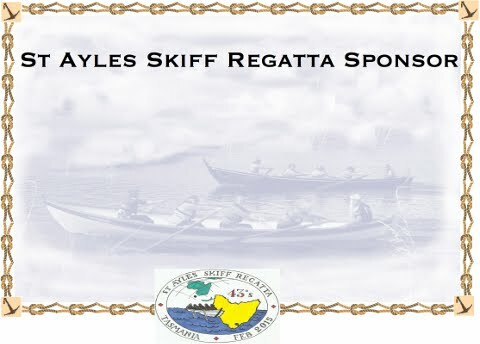 Sponsorship Naming rights of the (Inaugural) International St Ayles Skiff Regatta, Franklin is also an option. All sponsorship contributions are used for the organisation and management of the entire Regatta from Thursday February 12 to Sunday February 15. Contact for enquiries www.tasskiffie2015.org or ph 62663224.